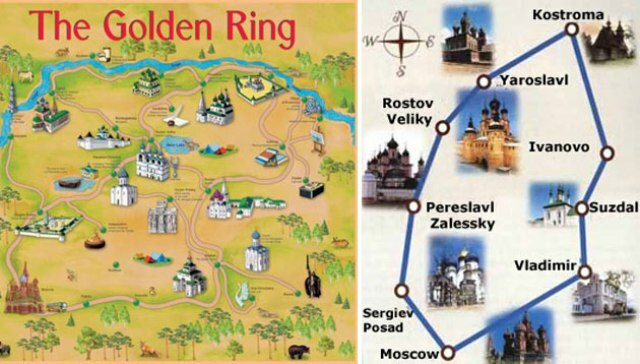 There is no clearly defined list of towns which comprise the Golden Ring. Big cities like Kostroma, Yaroslavl and Vladimir have pages of their own. Here I post images of smaller towns – Suzdal and Yuriev-Polsky. A small old town just 30 km from Vladimir. Founded in 1024 Suzdal features a whole collection of finest old churches, cathedrals and monasteries. With its unspoiled countryside setting on the Kamenka River, the town is a must-see for anyone who has an interest in and knowledge of Russian history. If you are short of time and thinking what town of the Golden Ring to visit – come here. 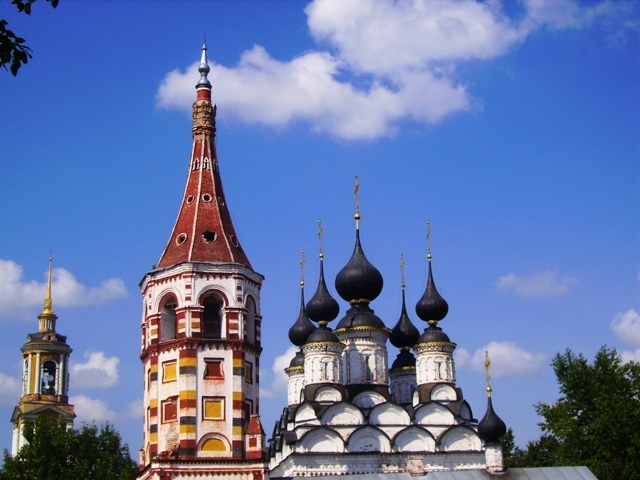 The town has its own Kremlin, built in the 11th century that contains the Nativity of the Virgin Cathedral. The cathedral, with its blue domes sprinkled with golden stars, houses a frescoed interior done by local artists of the 13th-17th centuries. There is a number of worth-seeing monasteries in Suzdal as well. The Monastery of St.Euthimius was founded in the 14th century. It was girded with its great red brick walls and towers in the 17th century. Inside every 90 minutes a short concert of chimes is given on the bell tower's bells. Prince Dmitry Pozharsky - leader of the Russian army that drove the Polish invaders from Moscow in 1612 was buried in the monastery. 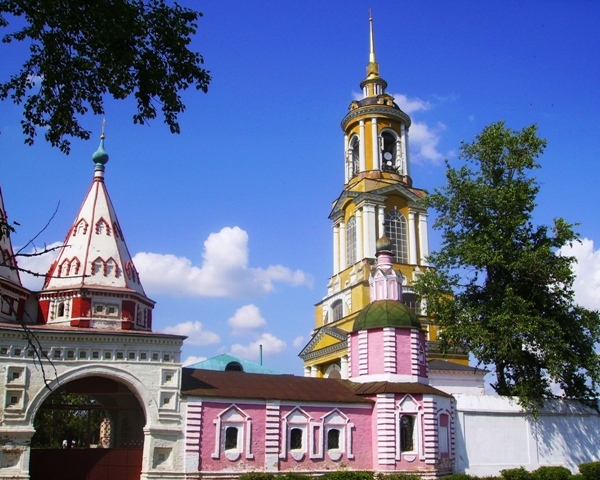 The Intercession Convent was founded in 1364 and served as a place of exile for the unwanted wives of Russian tsars. The Monastery of the Deposition of the Holy Robe was founded in 1207 but the existing buildings date from the 16-17th centuries. To this day, Suzdal remains unspoiled by industrial blight. The town is worth visiting not only to see the sights but also to catch a glimpse of provincial life in modern day Russia. There are many other things to see and picture in Suzdal. 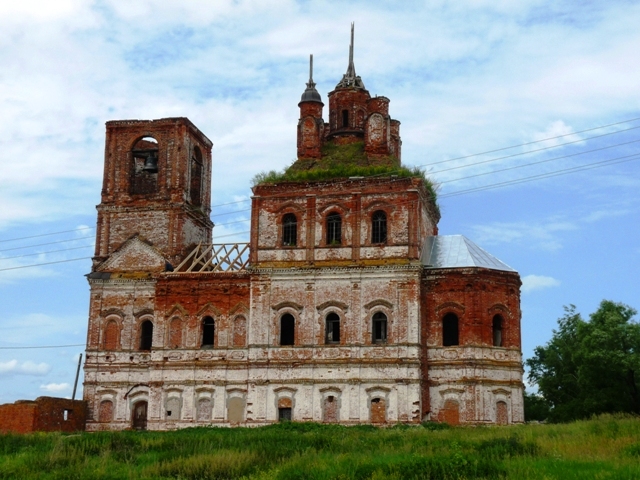 Still unrestored old churches can be found standing by the road not far from Suzdal on the way to Yuriev-Polsky, next Golden Ring destination. 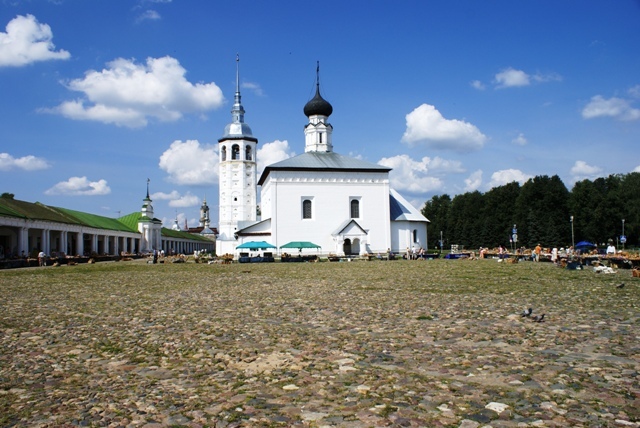 It is highly recommended to make a stop about halfway between Suzdal and Pereslavl-Zalessky in the small town of Yuriev-Polsky where in a good provincial setting you can see the 12th century kremlin with ramparts, walls and cathedrals. The town was founded in 1152 by Prince Yuri Dolgoruky who had also founded Moscow 5 years earlier. His stone statue stands near the kremlin. Within the ramparts, St. George Church built in 1230 has a facade completely covered in elaborate stone carvings.